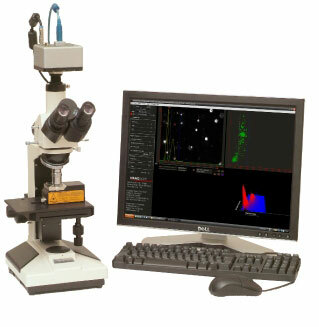 NanoSight, the UK nanoparticle characterization company, announces the release of a new super-sensitive system to compliment their range of instruments for imaging and sizing nanoparticles in liquid suspension. The high performance controller enables precise laser alignment in critical applications including advanced scientific research, semiconductor metrology and lithography, material processing, medical diagnostics and surgery, and aerospace and defense systems. The leading provider of stamps for nanoimprint lithography, NIL Technology, and IMS Chips, announced at the NILCOM meeting, January 8th, in Schaerding, Austria that they have started a collaboration on the fabrication of stamps for nanoimprint lithography (NIL) by combining their electron beam lithography (EBL) expertises. AIXTRON AG announced today that in the fourth quarter 2008 the Institute of Nuclear Energy Research (INER), based at Taoyuan, Taiwan, ordered an AIX 2800G4 Planetary Reactor system for the production of Germanium / III-V based solar cells. Memscap announced today the appointment of Steve Wilcenski as General Manager of the Custom Products Business Unit. Arrowhead Research Corporation announced today that its majority owned subsidiary, Unidym, Inc., has closed its Houston, Texas operation in order to consolidate its carbon nanotube production capabilities with the rest of its operations in California's Silicon Valley. Shocking Technologies, Inc., a leader in the development and application of Voltage Switchable Dielectric materials, will showcase its XStatic ESD solution for the PWB and package substrate industry at the Nepcon World Japan 2009 Trade Show and Conference, January 28th-30th. Keithley Instruments, Inc. announces the release of its 2009 Test and Measurement Product Guide. The Canadians are gathering at Photonics West 2009 in San Jose, CA to build on what a new industry report says is a shining success. AFP users that require testing in heated environments are now able to perform fault isolation techniques at elevated temperatures, mimicking the harsh conditions their companies final products will face. 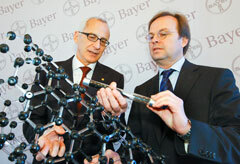 Bayer MaterialScience has begun work on the construction of a new facility for the production of carbon nanotubes (CNTs) in Chempark Leverkusen. The new plant will have a capacity of 200 tons/year, making it the largest of its kind in the world. Mentor Graphics Corporation today announced that STMicroelectronics has adopted the TestKompress automatic test pattern generation (ATPG) product into its standard 65nm and 45nm design kits. Nano-C, Inc., leading developer of nanostructured carbon materials, today announced that Massachusetts Institute of Technology?s Dr. Michael Strano, a renowned carbon nanotube scientist and among the top 1% of highly cited researchers, has joined Nano-C's Scientific Advisory Board. Graffinity Pharmaceuticals GmbH announced today that it has entered into a research collaboration with Elan Pharmaceuticals, Inc., a subsidiary of Elan Corporation, plc. Advanced Micro Devices Inc. shareholders will gather in Austin, Texas on Feb. 10 to authorize an investment by the Emirate of Abu Dhabi that could top $9 billion.